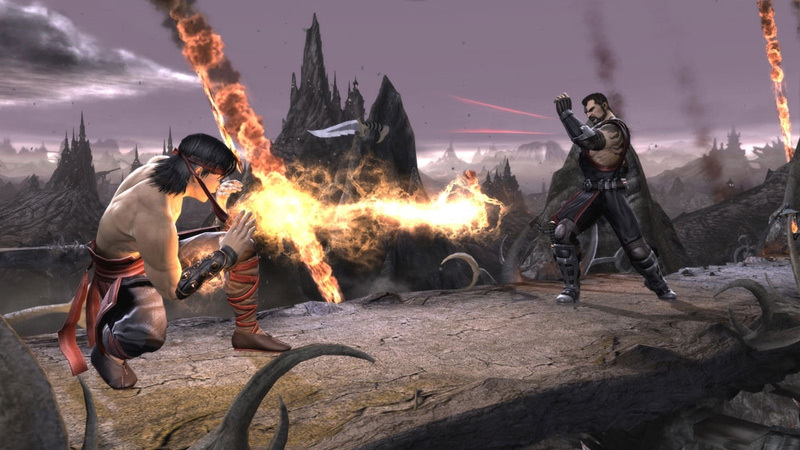 With all that content, an in-depth Story mode, and a wide range of modes to play through, Mortal Kombat is one of the most complete fighting games around--not to mention one of the bloodiest. The return of fatalities and the addition of X-ray moves mean fans who have craved the return of gore after the toned-down Mortal Kombat vs DC Universe will have plenty to keep them amused. A great attention to detail is applied to the backgrounds, characters, and making the fatalities cringe-worthy spectacles. An almost overwhelming amount of great content backs the rock-solid gameplay. This is the best Mortal Kombat yet. It didn’t blow my mind to the degree that Mortal Kombat 2 and 3 did back in the day, but when it comes down to the gameplay and longevity tied to it, this new entry towers above its 2D lineage. The single-player has tremendous depth, but all of it can likely be beaten in 15-20 hours, depending on your skill. Online is really where the game may shine six months down the road. The story is cheesy, as you’d expect, while the voice acting and character models during cut scenes are not super polished. As an overall experience however, Mortal Kombat is simply fun. It’s actually more than fun; it’s a ton of fun. As I said earlier in the review, games are meant to be enjoyed, and I truly feel sorry for anyone that doesn’t know how to enjoy a game like Mortal Kombat. Topping all this off are the aforementioned X-ray moves, which are devastating new attacks unique to this version of MK. Land one of these suckers and you can deal up to 50% damage, which, while cool for comebacks, is perhaps too much. We want to always have a chance at victory, but uh, some of these moves can turn the tide in a very un-fun way. As for top-level play, I'm not the guy to judge any fighting game from the "is this game tournament-worthy?" angle. But MK feels solid, with enough depth and guessing games in place to work, provided that it's as balanced as it feels after a week of solid play. But even if, for some reason, the competitive aspects of the game didn't work out, there's so much great single-player material in Mortal Kombat that it's still worthwhile even if you aren't looking to fight others. 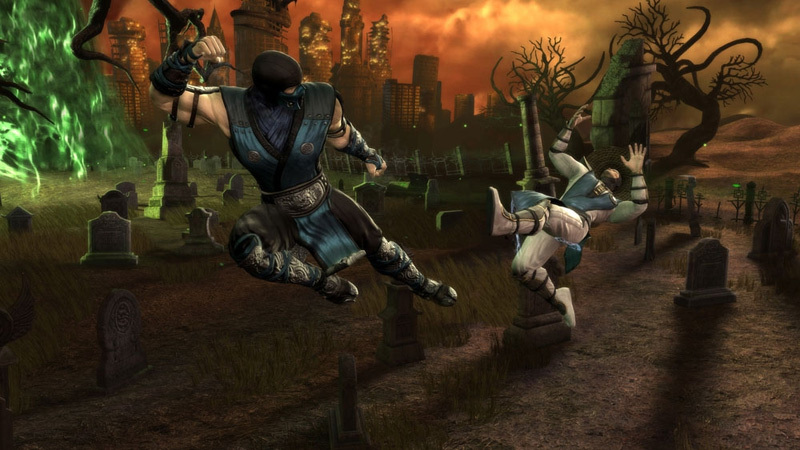 Mortal Kombat is back in full gory glory. This installment serves as the ultimate throwback for die-hard fans like myself, while still being accessible and interesting enough to lure new gamers. Unlike most fighters, there are hours and hours of single-player, plenty of replay value, and some unique twists to online multiplayer to help make it stand out among the rest. Series staple secrets are buried within the game and DLC characters are planned to help to hold your attention for a very long time. Over the past two weeks, I've spent perhaps as much time playing the new Mortal Kombat as I did playing the original titles in the arcade and on consoles. The fact that I still haven't unlocked everything, and that I'm not bored of the game's ruthless fighting mechanics and sadistic finishers, is a testament to the game's value. Mortal Kombat doesn't redefine the franchise, but by sticking to what it does best and piling on the content, it has become a must-have for fans and easily establishes itself as the best in the series. Indeed, this new game feels like such a thorough piece of fan service, it's difficult to see how NetherRealm Studios will ever be able to follow it up, as it feels like there's little left to do. Still, for now that doesn't matter. Mortal Kombat feels like the return of an old friend - a thoroughly unhinged friend, but one we're delighted to have back. Mortal Kombat combines the novelty of extreme violence with a great fighting engine. 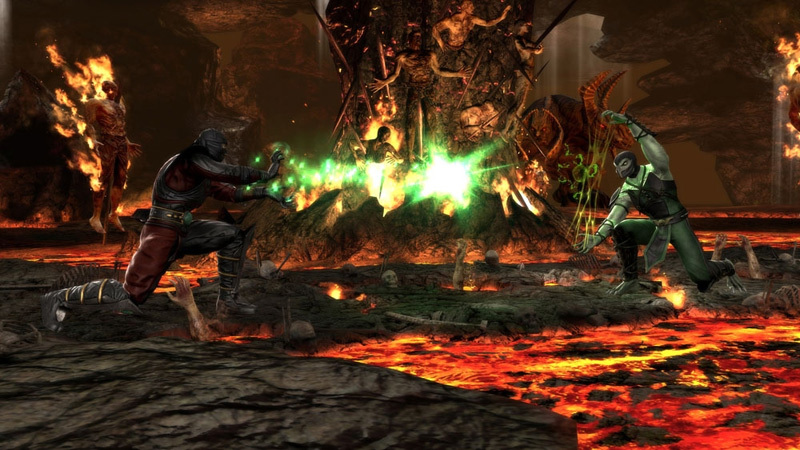 My favorite moments with Mortal Kombat were always playing against a friend (Gamespy's Ryan Scott is a beast), but I was disgusted by how unbalanced some of the single-player challenges are. Mortal Kombat is a great game. It's not the most polished fighter out there, but it has a distinct flavor and it'll be a hit at gamer get-togethers. I'll leave you with some friendly advice: show your friends Noob Saibot's default Fatality. It's amazing. 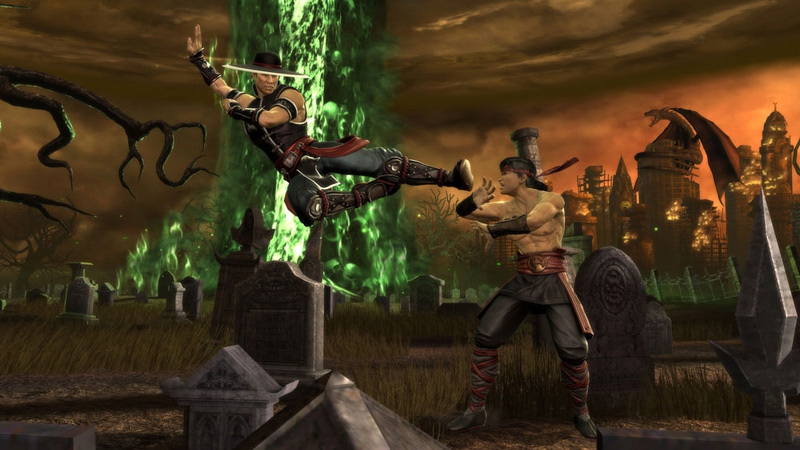 Darkly decadent as one of its sadistic X-ray moves, the new and improved Mortal Kombat emerges as an impressively realized reboot that elevates the series to a new plateau of excellence. If your interest in Mortal Kombat has remained in stasis until now, unfreeze your expectations and take a dip in the dark side. You will that find ripping someone's head off is a lot more fun than you originally remembered. 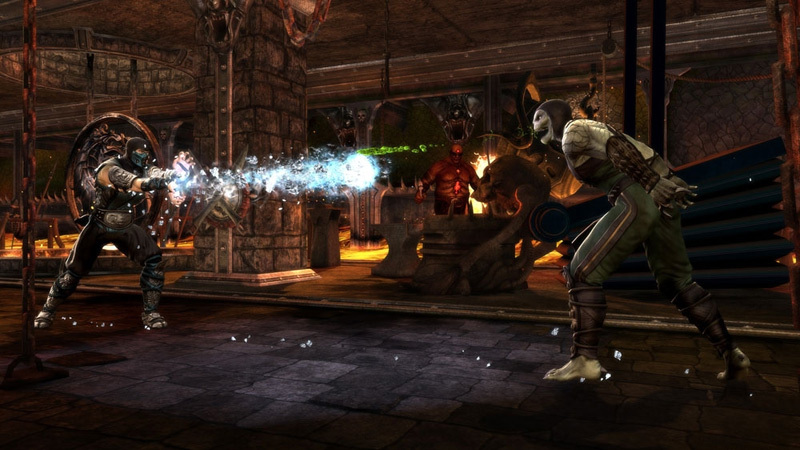 Mortal Kombat brings new life to an old franchise that has been around for nearly two decades. The gameplay is by far the best in the series, the visuals are as detailed and gory as ever, and the presentation is second to none. This game changes the way we look at fighting games from a single player perspective. It’s proof that the fighting game genre can have an engaging story that’s well thought out and worthwhile. ...If it wasn’t for the inconsistent netcode, this would have been a flawless victory. 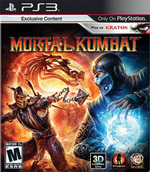 Though we have technically already had a Mortal Kombat game this console generation, this is the first M-rated Mortal Kombat game we've seen on HD platforms, and as such it makes a stellar debut. I wouldn't call Mortal Kombat a reboot, but instead the sequel you've been waiting for. After several mis-steps, the series is back and deadlier than ever. If you are a fan of the Mortal Kombat franchise, love 2D fighters, or just want to experience what must be the goriest fighter ever made, you'll have a bloody good time with Mortal Kombat. Nos encontramos con un juego de lucha divertido y directo, que tiene en sus variados modos de juego, online y offline, uno de los pilares en los que se sustenta la violencia y sangre explícita de la saga. Mortal Kombat es más brutal y contundente que nunca, con fatalities espectaculares, momentos dolorosos y un aspecto general más que interesante por haber sabido adaptar ese universo a caballo entre el gore y la serie B a los tiempos actuales. Después de unos últimos capítulos de clara decadencia, por fin Mortal Kombat renace de sus cenizas. 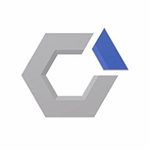 Y lo ha hecho recuperando la jugabilidad 2D de antaño que tan buenos resultados reportó a la saga, a lo que se ha añadido un buen número de otras virtudes como un plantel de personajes muy sugerente, numerosas opciones online, nuevos y brutales Fatalities, peleas Tag Team y un modo Historia absorbente e interesante. Estamos ante un gran título de lucha. Los fans de la serie van a quedar encantados con este nuevo episodio. On peut lui reprocher un système de jeu moins étoffé que chez la concurrence, mais il recèle néanmoins quelques subtilités, qui assurent des combats pêchus et vraiment agréables à jouer. Alliant humour, univers kitch et un contenu abyssal à débloquer, le titre de Netherealm Studio entre au panthéon des jeux de combat, mais à sa façon, et ceci sans pour autant venir jouer dans la même cour qu'un Street Fighter IV, un BlazBlue ou un King of Fighters. Unique sur le fond comme sur la forme, ce reboot victorieux insiste crânement sur les vieux points forts de la saga, et ça marche. Mortal Kombat n'est peut-être pas le jeu qui remisera SSFIV ou Blazblue CS au fond du placard, mais il sait où il va et assume sa différence. Ni monument de technicité, ni monstre de simplicité, il suit son propre sillon, abreuvé d'hémoglobine impure. Par conséquent, les amateurs de baston 2D feraient bien de lui laisser sa chance, il la mérite amplement. Dans l'ensemble, le pari semble réussi mais le fait est que le jeu ne s'exprime vraiment que lorsqu'on le pratique en coopération avec d'autres joueurs, son IA n'étant pas suffisamment évoluée pour tenir la route toute seule. On recommandera donc le jeu aux férus de FPS militaires ayant des potes motivés sous la main. Pour le reste et malgré une technique d'un autre âge, Red River se montre assez plaisant et devrait sans conteste trouver son public. Mortal Kombat representa um excelente serviço para os fãs, mas não só, é também uma grande proposta para qualquer um que esteja interessando em jogos de luta. Em conteúdos é dos jogos do género mais completos dos últimos anos, serão precisas muitas horas e suor para descobrir e desbloquear tudo aquilo que Mortal Kombat tem para oferecer. Nota-se que a Netherrealm dedicou imenso esforço e cuidado, e os resultados estão à vista. Com este título, a série Mortal Kombat regressa à ribalta, é esperar que continue desta forma em futuras iterações. Alles wat de game doet, bijna alles, doet het goed. Vaak is het zo dat ontwikkelaars roepen: de game wordt tof! Of de game keert terug naar de roots. En vaak komen gamers dan bedrogen uit. Respect dat dat nu niet gebeurd is. Echte Mortal Kombat liefhebbers zullen veel oude elementen herkennen. Maar daarnaast gaat Mortal Kombat met de tijd mee door oude dingen te verbeteren, er op voort te borduren en nieuwe aspecten toe te voegen. Samtidigt, med nostalgikänslorna effektivt dödade av obalans och märklig svårighetsgrad, är Mortal Kombat i grunden inget spel som på något sätt kan konkurrera med den briljans som framförallt Super Street Fighter IV innehåller. Netherrealm Studios senaste skapelse är proppat av urskön vulgo-design, skrattframkallande övervåld, köttiga spellägen och klassiska ninjor. Det är roligt och lättsamt för stunden, men fortfarande inget fightingspel som ens nästan kan slåss mot genrens främsta.